This is a known brand around the world. Although, while known, it’s might not be as well-known as some others. Doesn’t mean that Hampton and Rhodes do not deserve a review of their own. The mattresses they make are of good quality and price. They are not impossible to afford for a common person, unlike some of the bigger brands. Hampton and Rhodes’s mattresses usually have a pillow top, although not necessarily. But if you want such a mattress, this brand is the second thing you should look up. What’s the first one then? Why, my review on pillow top mattresses, of course. Just follow this link and make your choice. That said, to the top three! As with many Hampton and Rhodes mattresses, the Kauai mattress is affordable, although not exactly cheap. The reason for that is that it utilizes Talalay latex as a comfort layer. But this is not a pure latex mattress. Not, the base layer of the mattress is the innerspring system of individually pocketed coils. Naturally, with it comes motion transfer reduction, which is a good thing most of the time. And the edges are encased in foam for extra support, which is certainly a good thing. After all, edges tend to collapse under pressure most of the time. Well, this mattress is different. As a matter of fact, it comes with a multitude of layers. Because of that it extra comfortable and supportive. 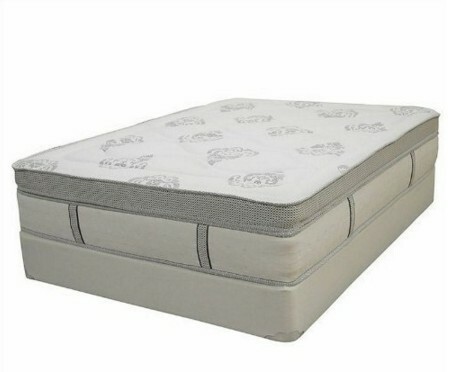 It has a circular knit cover, a naturally fire-resistant layer, and a quilt layer of soy foam as its pillow top for your comfort and safety and more soy foam and Talalay Latex for basic comfort. And then comes the foam encased spring system of tempered eight inches coils, individually pocketed for more adaptive support. As always, you can buy this product on Amazon.com. Make sure to hurry up, after all, the mattress will not be in stock forever. Be warned, the mattress grows softer with time. I’d recommend getting it if you don’t mind a soft mattress. This is not an innerspring mattress. I would call it a memory foam one, had it not had just some of it. No, primarily this mattress is made of basic foam. It doesn’t automatically make it a bad one. But it does make it cheaper than it could be. Let me tell you something about the memory foam. I believe it’s worth note. 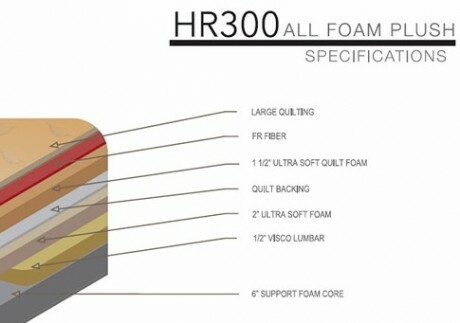 The memory foam in question is Visco memory foam Lumbar. It is used for lower back support. And that’s that. Otherwise, every scrap of foam used is not memory foam. But the materials this mattress is constructed with are not limited to foam, viscoelastic or not. The quilting layers also have naturally fire-resistant fiber and jacquard fabric for the cover. And quilt foam as well. Of course, the mattress layers are not limited to the quilt. There’s also a comfort layer and a support layer. 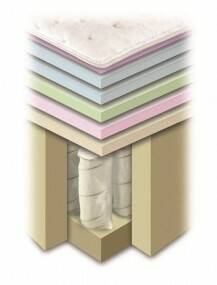 Both layers are made of Certi-PUR US certified foam. And then there is the memory foam for lumbar area. The mattress is very soft to the touch and comfortable. If would make a good purchase. If you think so too, make sure to visit Amazon.com and order it there. 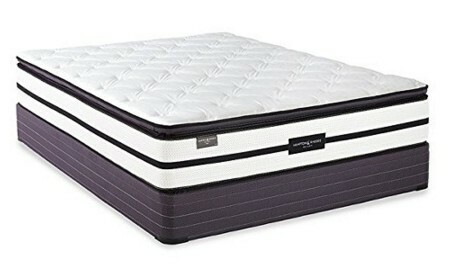 This mattress is a legitimate hybrid innerspring/memory foam mattress, unlike the other two mattresses in this review. It’s no wonder I’m giving it the first place. But let me tell more about it. The Aruba mattress is 14 inches thick. That in itself guarantees a good give, if only because there’s a lot of space the mattress has to give in. Which makes is a good choice for heavy people. However, it’s more than that. The first thing I should have told you about the mattress is its quilted knit cover. It may not be made of silk-cashmere or something like that but it is well-designed. Aside from the beautiful pattern, there is also a pillow top and handles. Of course, the pocketed coils eliminate motion transfer, however, there is no extra edge support. That’s a little issue, but an issue nevertheless. The stretch knit cover is optimized to work with the memory foam. As you might know, memory foam adapts to the body outline, reacting to the body temperature and pressure. The cover that comes with this mattress does not hinder the process, therefore, the memory foam perfectly conforms to your body’s outlines just as it would with no cover at all. By the way, since the memory foam is gel-infused, you shouldn’t worry about overheating at night. Just hurry up and order this fine mattress on Amazon.com right now. Hampton and Rhodes’s mattresses are not all that unique in the sense they don’t really have distinct features. It’s just another good brand. The make good mattresses. They make mattresses with and without memory foam, mattresses with and without latex, mattresses with and without springs. Nothing new there. Therefore, when buying a mattress of this brand, you have to pay attention to what matters to you specifically rather than to some universal all-applicable pointers. That wouldn’t be necessary. The problem is not the brand itself, it’s about the fact the mattress is plush. This is not the best choice for someone with shoulder pain. It’s just not enough. I would recommend a memory foam mattress with a firm surface. I am cosidering purchasing an HR Hana pillow top 15″ queen. I went into a store and they gave me a bunch of discounts. The final price is $594.99. Is that a good deal? 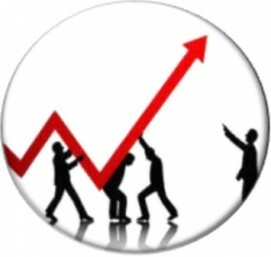 I just was told the Hana PT model is on sale for $709! Where did you purchase yours may I ask? I bought the HR300 on the 3rd of this month. Love the plushness but the overly loud creaking is making the bed not enjoyable. What can I do to make it quieter? 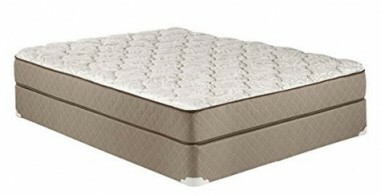 If I could get a good deal on a Serta Beuty Rest so it cost same as Hampton & Rhodes, which brand would you recommend? Well, that depends on what’s more important for you. No two mattresses are the same, even when it comes to a single feature or two. But as it is, I would recommend the Serta mattress in such a situation. 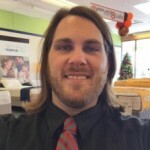 my sister bought this bed, Adam Gonzalez, was over the top with information, friendly, helpful, and i couldnt be more pleased with the bed we got, the delivery was also on time and set it up very quickly and professional, thanks again adam. My grandchildren complained that the bottom bed mattress on our trundle was too hard to sleep on. (I agreed). I’m looking for an 8″ softer mattress and a Hampton Rhodes foam was recommended. What do you think? I believe it was a 300 series? We just bought an HR 100 matress for our 5 year old. I can’t get over the smell. Very strong chemical like smell. I am not comfortable letting my son sleep on it. Could you please describe the materials? Next Read My King Koil Mattress Reviews. Best Coils Ever!